“Titan Specialist Products have seen sales grow in the UK over the last few years, Facelift have now taken on the task to help push them to the next level and into European Distributors as well as increasing the exposure in the UK…. This adds to the momentum we have picked up since relaunching Facelift giving us another fantastic weapon in our arsenal!” …. gushed Mike Howard The Face @ Facelift. 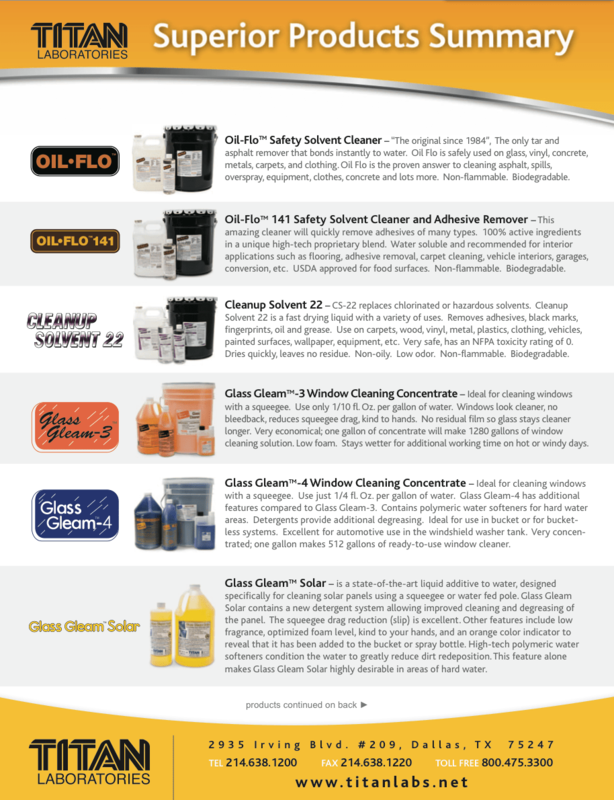 Titan’s specialist range include innovative Glass Cleaners, GlassGleam 3 & GlassGleam 4, for hard and soft water areas and the NEW GlassGleam Solar a niche application for treating Solar Panels. Following in the footsteps of the massively successful Phoenix launch, the Titan range will be quickly added to our current distributors and we also plan to push into new distributors outside of the window cleaning industry. We see huge potential, particularly in the solar panel and post construction cleaning products. 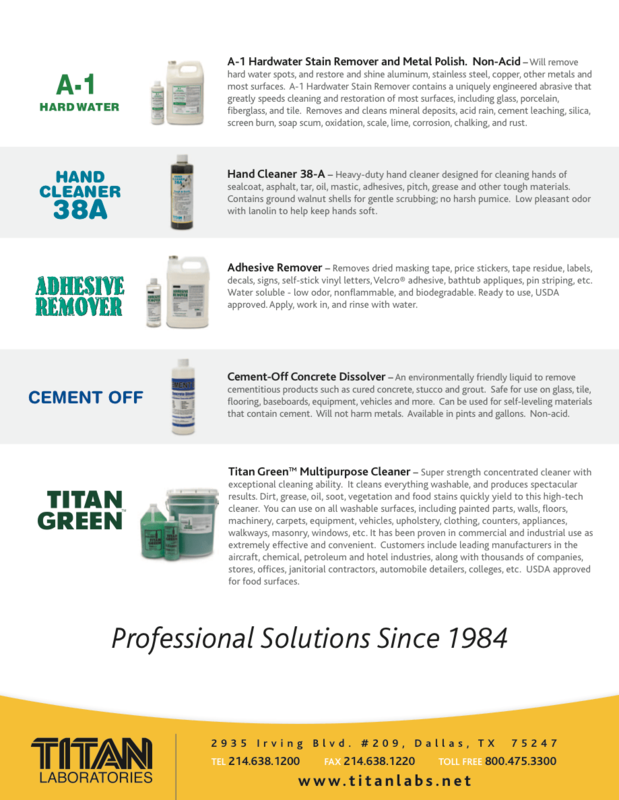 The Titan products cover a wide range of applications and I believe this is the beginning of Facelift moving into new areas of cleaning.